Today! Birthday! (Instagram Self-Portrait Series / Queen of the Day, January 12, 2017, ink on paper). If only we lived in Andy Warhol’s world, where everyone could be famous for 15 minutes. After enjoying our minutes of fame we could move on with the rest of our lives. In a world of fleeting moments, we could muse about what might have been before returning to the reality that life is too short to be fulfilled and too long to be remembered in every detail. Sadly, that is not the world we live in. Our new digitally afflicted lives are laden with photos and self-declared moments of fame and (mis)fortune, all well-documented on Facebook, Instagram and twitter. We no longer have the luxury of forgetting, or moving on as the moments of our lives are incessantly regurgitated by anonymous algorithms perpetually reminding us and our friends of yesterday’s reality. Luckily there is art as a welcome distraction – a different way of looking at ourselves and the world than through the lens of the iPhone selfie. Artists like Pola Dwurnik, who takes us on a journey of her imagined world as the Queen of Painting, are the antidote to yesteryear. By taking her typical “self-ironic vision of future” to Instagram, Pola re-interprets the selfie as more than just a memory of the past. She gives us license to reinterpret or reimagine our own reality. Birthdays come and go, but our news feeds never seem to disappear and birthday wishes are just a click away. As we think about how to answer them (in 140 characters or less) we should learn from Pola’s example and imagine our live not as a series of selfies, but as an endless array or possibilities waiting to happen. Happy Birthday, Pola and Happy New Year to all. This entry was posted in Artists and tagged Instagram, Pola Dwurnik. As the new year unfolds, so too does another year of discovery and dialogue with artists and art enthusiasts alike. 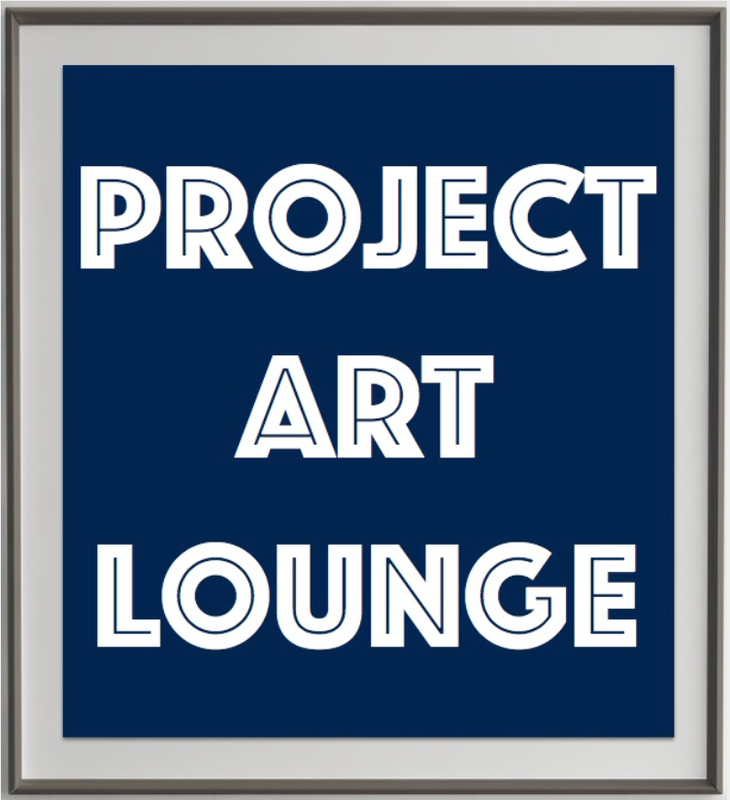 Project Art Lounge is part passion, part obsession, always on the look out for interesting art spaces, programs and events to review and recommend. Last year at this time, we were discovering Rutherford Chang’s White Album project at Tokyo Wondersite, an installation comprised of Chang’s collection of the Beatles’ original numbered White Album. The New York based conceptual artist is known for his obsessive collection, organization and re-arrangement of mass media objects. At last count, Chang has collected 1,368 of the Beatles’ White Album, which he catalogues and exhibits in their original numerical order. 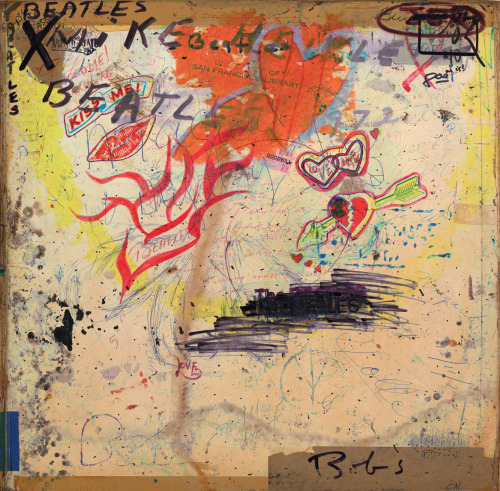 He even created his own vinyl mash-up of 100 White Albums with an original cover that is anything but white – a composite of scratches, doodles and dedications of the earlier owners. If you’d like to sell (or donate) your copy to Chang, he’ll archive it on his We Buy White Albums instagram page. If that doesn’t sound like a positive note to start the new year on, think of it in the spirit of Ralph Waldo Emerson: ‘life is a journey, not a destination’. Chang’s repetitive zen like projects remind us to live in the moment rather than in the past or the future. As you set about realizing your own projects for 2016, Project Art Lounge wishes you an enjoyable and artful journey and a Happy New Year. This entry was posted in Artists and tagged Beatles, Conceptual, Happy New Year, Obsession, Passion, Rutherford Chang, Zen.